INDIAN WELLS, Calif. — Charles Koch and members of his Seminar Network — donors who contribute a minimum of $100,000 to the various political action and philanthropic organizations run by the conservative billionaire Koch brothers — have big plans for the midterm elections. At a retreat this weekend, the group announced plans to spend between $300 million and $400 million in 2018 — a 60 percent increase from its spending in 2016 — to defend Trump administration policies that Charles and David Koch and their network overwhelmingly support — while distancing themselves from a man that some believe is personally unfit to serve as president. This is the compromise many members of the Koch network seem to have made. “We’re not voting for [a] best friend,” said Jacki Pick, a first-time attendee from Austin, Texas, who works in the energy sector. Pick praised Trump’s policies and EPA Administrator Scott Pruitt, a climate change skeptic who supports increasing oil and gas development. “We’re voting for a chief executive who makes good decisions,” Pick said. The Koch brothers network is pledging to up its political spending because of the difficult political environment the Republican Party faces in November. With a number of retirements and Trump’s low approval rating, there is increased concern among many conservatives that more GOP seats could be vulnerable in the fall. Trump “is not a nice person and he’s alienating a lot of people, similar to the way Obama destroyed the Democratic Party,” said Wright, a reference to the Republicans’ historic gains in the midterm elections of 2010. Tim Phillips, the president of Americans for Prosperity, the Koch brothers primary political organization, acknowledged the midterm elections are “challenging,” arguing that the GOP needed to improve its messaging around the tax bill. The party has to make “people connected to the benefits of the tax bill,” Phillips said. His group has committed an additional $20 million to fund a campaign focused on championing the bill, which was Trump and the GOP-controlled Congress’ top legislative victory in 2017. 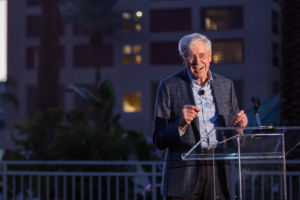 Charles Koch launched the biannual event Saturday evening with a poolside cocktail party at the Renaissance Resort in Indian Wells, California. “We’ve made more progress in the last five years than I have in the previous 50,” he said in a speech. The retreat and its theme, “Breaking Barriers,” also highlighted the Network Seminar’s work outside of politics. Koch released a film, “The History of Freedom,” over the weekend that tells the story of the Seminar’s overall goals, which include education and criminal justice reform. The Kochs “started with policy and that is the real interest. Most people here have been involved with philanthropy and engaged with education reform their entire adult lives,” said Randy Kendrick, a conservative donor from Arizona who is married to the owner of the Arizona Diamondbacks baseball team. 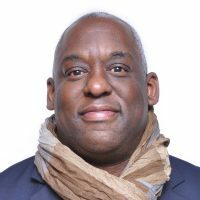 The Network Seminar also includes a growing philanthropic division, Stand Together, that supports non-profits aligned with the organization’s goals, and has become a venture fund seeding money to enable successful non-profits to grow. The 2018 retreat was the Network Seminar’s largest gathering ever, with 550 attendees including 160 first-timers. The initiative has helped organizations like Rising Tide Capital, a New Jersey-based firm that educates potential entrepreneurs in management and micro-finance, and PHOENIX, a fitness-focused recovery program that uses outdoor activities like hiking, climbing, and boxing to provide paths forward for those fighting through addiction. The 2018 retreat was the Network Seminar’s largest gathering ever, with 550 attendees including 160 first-timers. The three-day policy conference focused criminal justice reform, free speech, reducing regulations, and creating opportunities for all. Several elected officials attended the retreat, which gives Republicans access to wealthy donors and party activists. Senate Majority Whip John Cornyn, R-Texas, Sen. Thom Tillis, R-N.C., and Rep. Marsha Blackburn, R-Tenn., were all featured Saturday night at the opening dinner, and Rep. Mark Meadows, R-N.C., the chairman of the House Freedom Caucus, also made an appearance.